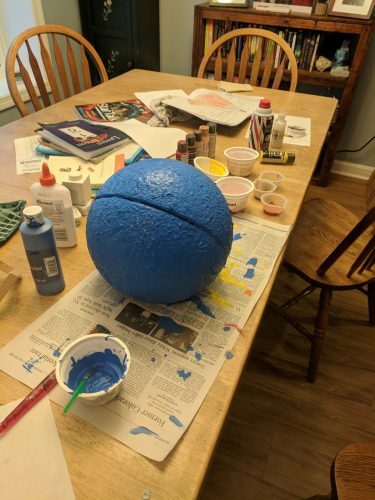 Round two of the science project update. 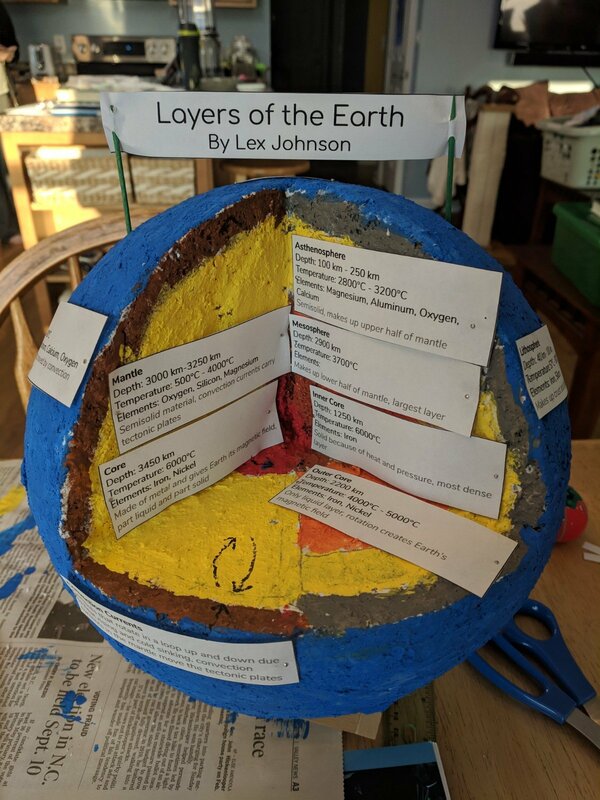 :) Lex decided to make his 3D model Earth with a more traditional styrofoam. He wanted to make it nesting spheres, but after an extended visit to the craft store where they didn’t have exactly what he wanted and everything was very expensive, he decided on the standard cut-out. 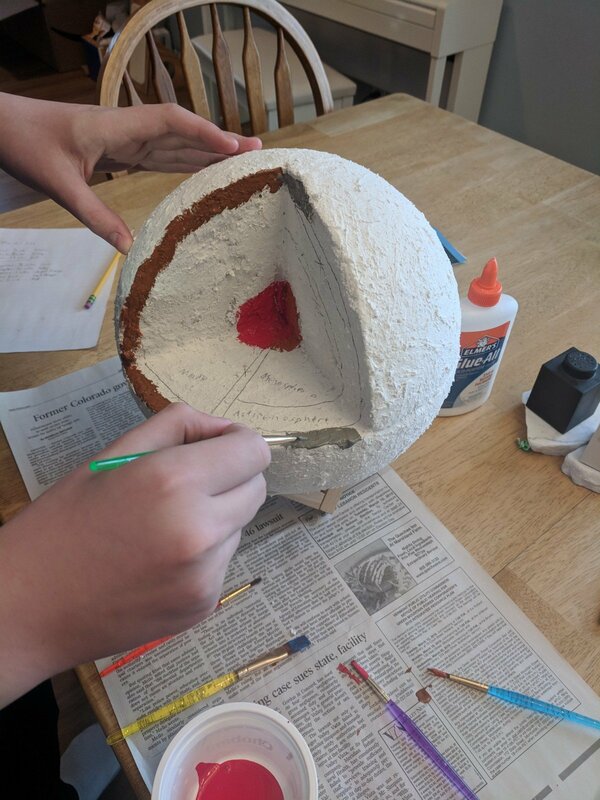 He glued two halves together, cut out an eighth of it and slathered the whole thing in a putty that sealed the styrofoam. 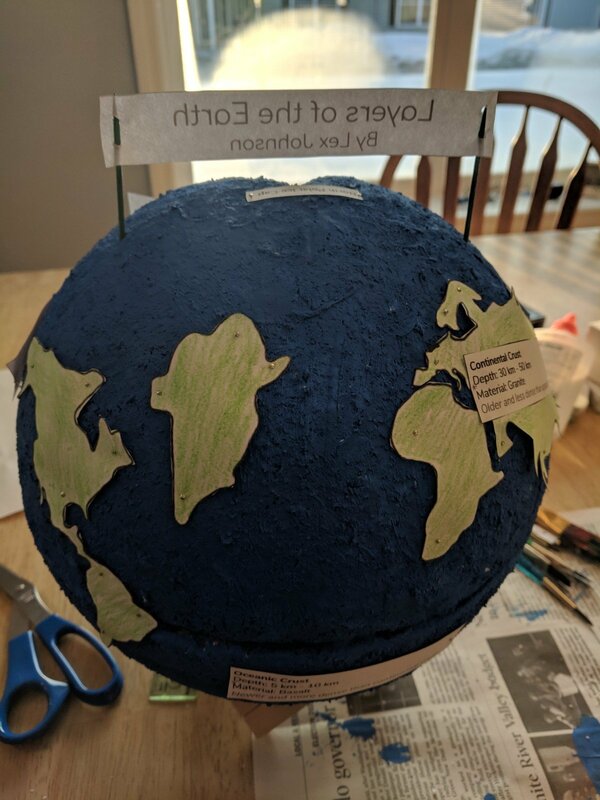 The continents are a little small, but that’s ok.